Follow along with Claudiu Voicu’s GoPro adventure in the Les 3 Valles. Claudiu and his creative partner Susie masterfully created their adventure using seamless transition techniques throughout the video. To see more of his work, follow Claudiu at https://www.youtube.com/claudiuvoicu. 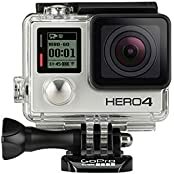 GOPRO HERO 7 SI o NO?? ?